Liebster Jesu, mein Verlangen (Dearest Jesus, my desire), BWV 32, is a church cantata by Johann Sebastian Bach. He composed the dialogue cantata in Leipzig for the first Sunday after Epiphany and first performed it on 13 January 1726. 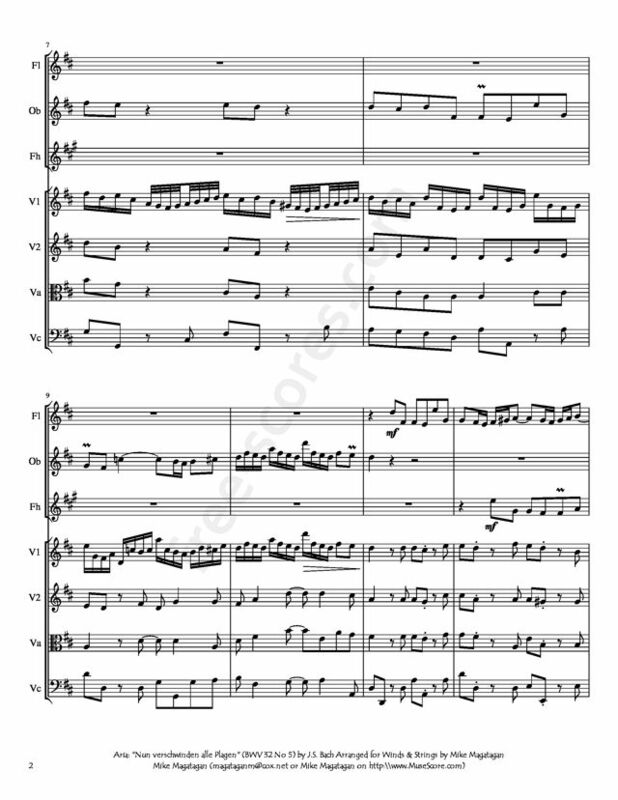 The dialogue is opened by the soprano as the Soul in an aria in E minor, accompanied by an obbligato oboe, described by John Eliot Gardiner as "a solo oboe as her accomplice in spinning the most ravishing cantilena in the manner of one of Bach’s concerto slow movements". 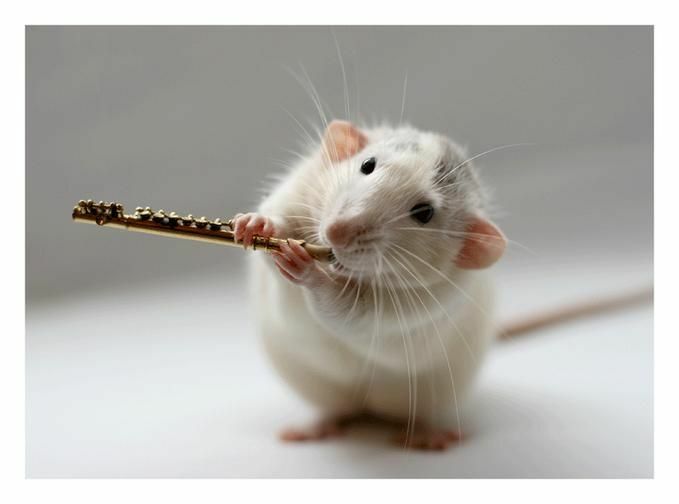 Julian Mincham distinguishes in the oboe line two different "ideas", in the first five measures a "sense of striving, effort and stretching upwards", then "garlands" of content in achieving a union, as the last lines of the text say "Ach! mein Hort, erfreue mich, laß dich höchst vergnügt umfangen" (Ah! My treasure, bring me joy, let me embrace You with greatest delight). 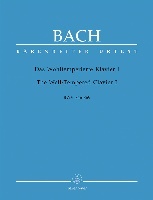 The bass answers in a short recitative and a da capo aria in B minor, embellished by a solo violin, which "encircles the voice with triplets and trills". The words "betrübter Geist (troubled spirit) appear whenever mentioned in "minor-mode colourings in the melody and harmony". In the following dialogue recitative, the soul answers with a paraphrase of the opening line of Psalm 84, "Wie lieblich ist doch deine Wohnung" (How amiable is Thy dwelling), which both Heinrich Schütz and Johannes Brahms set to music, Brahms as the central movement of Ein deutsches Requiem. Bach sets the text as an "evocative arioso with a pulsating string accompaniment". The two voices never sing at the same time. A duet finally unites both voices and also their "associated obbligato instruments (oboe and violin), so far heard only separately". Gardiner writes: "It is one of those duets … in which he seems to throw caution to the winds, rivalling the lieto fine conclusions to the operas of his day, but with far more skill, substance and even panache". A four-part setting of Paul Gerhardt's hymn "returns the cantata – also in terms of style – to the sphere of reverence appropriate for a church service". 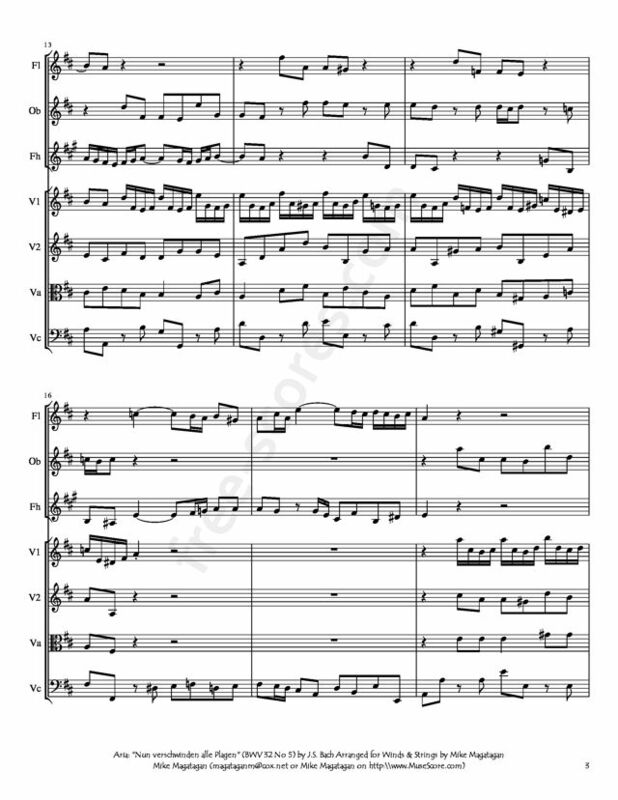 The cantata in six movements is intimately scored for soprano and bass soloists, a four-part choir only in the chorale, oboe, two violins, viola, and basso continuo. 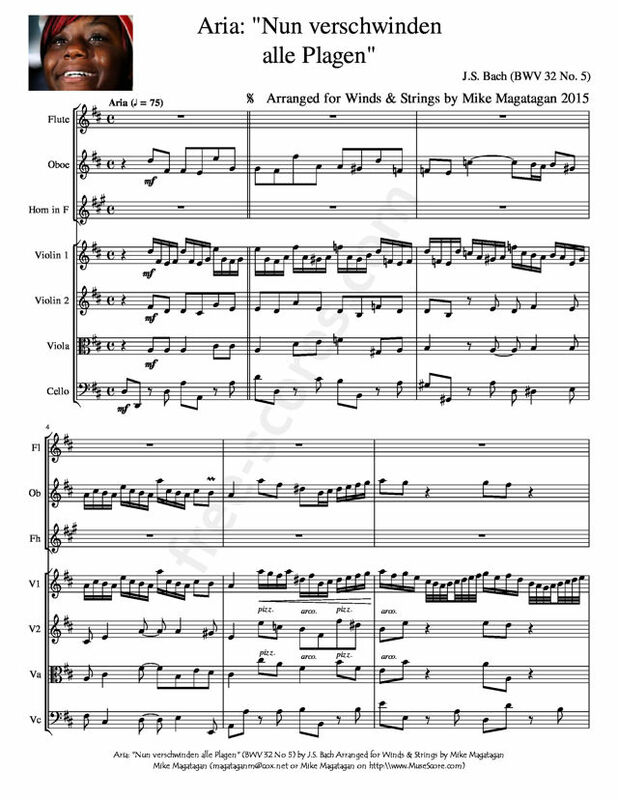 I created this arrangement of the final Aria: "Nun verschwinden alle Plagen" (Now all trouble disappears) for Winds (Flute, Oboe & French Horn) & Strings (2 Violins, Viola & Cello).